I have an issue. Well, many. But let’s just focus on one for today. When I decide to do something, I go at it rather, um, fanatically. I will fully admit that I have a heck of a time making a decision. But once a decision is made, I go at it like a maniac. Let’s take my current redecorating project, for example. Heck, not even for example, let’s just talk about it exclusively. It all started back when my daughter Chelsea came home to visit for a week last Fall. That girl created a real problem, and she didn’t even know it. Darn girl started watching episode after episode of HGTV starting about 10 am on Saturday morning during her visit. Now I have always loved decorating, but as with everything else in my life, I’m either 100% on it at the moment, or 100% NOT. I don’t balance things well. And I have been on the “ignore” decorating channel for the past couple of years as my attention has been heavily tuned to my online business. So I was pretty much blindsided by my instant addiction to all things HGTV. It only took one day of watching. But I’ll admit, it was a looooong day of watching. Chelsea managed to get up and walk away from the television by about 2:00. But I had just experience my first episode of Fixer Upper, and you would have thought I’d discovered a new religion. I may as well have been attached to the sofa with a ball and chain. Nothing could motivate me to walk away from the Fixer Upper marathon. Not even my husband asking why on earth I was still in my pajamas at 4:00 in the afternoon could get me to budge. 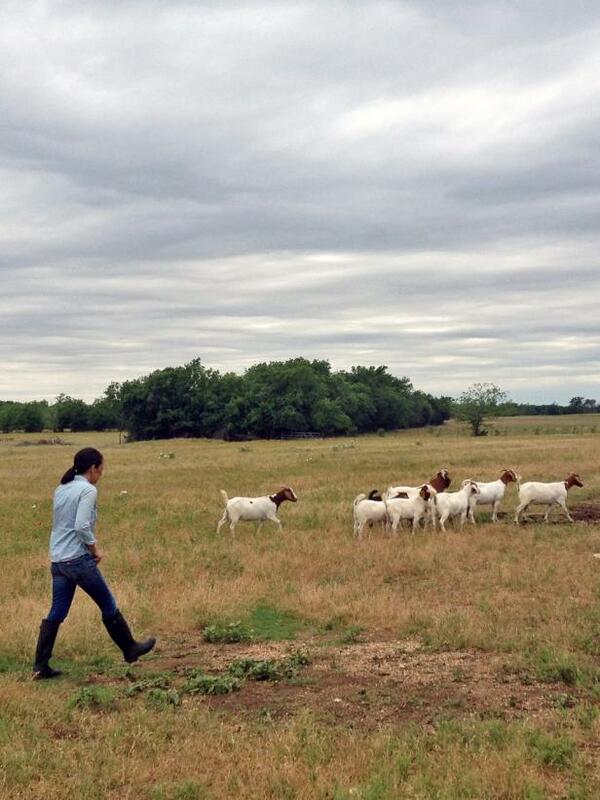 She manages to make goats and farming look FANTASTIC. When the Fixer Upper marathon ended, next came 6 straight episodes of Flip it to Win it. How do these people do this stuff? The transformations were miraculous! My husband and I have always been very capable do-it-yourselfers (spell check did NOT like that word), but we look like toddlers with watercolor brushes and plastic hammers compared to these people. After a single, fabulously-wasted Saturday on the couch (I seriously can not remember a single time I’ve done that), I was inspired. Joanna Gaines had managed to turn my complete aversion to “gray paint” into a passion. I was ready to make a transformation. Well, at least in my home decor. And it even included taking my gloriously-gold-glazed walls and repainting them in my previously most-dreaded color: gray. CRAZY stuff has been going on here. So, within one short month after that fateful Saturday, and I had nearly completed a major facelift . . . on my house. We’re only talking about home transformations here. I managed to completely blow it on the first round of paint (bad choice of color for my house, yikes! ), and had to re-do it. Let’s just say that it was NOT a good moment. But it’s fixed, thank heavens, and it’s fantastic! 6 months later, the home decor transformation is 90% done. It included the foyer, family room, kitchen, and master bedroom. I’ll share all the details in another post, or ten, but for now, I just wanted to say that I’m blaming it all on my daughter and HGTV. 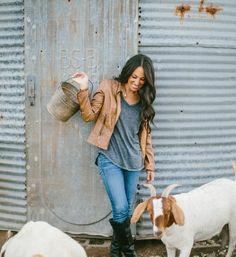 And Joanna Gaines. And the darned goats.